My life as a Melburnian was filled to bursting with the comfortable flourishes you’d expect from the life of a thirty-something woman with a privileged background, a well-paid(-ish) job, supportive family and lovely friends. It was these same comfortable flourishes, however, that I vowed would not follow me to London. As I’ve mentioned in previous blog posts, my northern hemisphere life was to be about new challenges, different experiences, wider boundaries. This blog has, hopefully, shown evidence of how I’ve embraced this new life adventure, without too much of a backwards glance. Nine months later, or 238 days away from home, and I must admit that the thought of my comfortable flourishes started to tug at my heartstrings, warming me at my core. A little something of Melbourne would be nice thing to have, I mused to myself. And then, with the passing of Easter, I became acutely aware of how far home was. Home, and family. Not only that, I was about to say goodbye to my first stable source of income since arriving in London and while I was happy to run out the door at 5.31pm on my last day, the thought of again heading into the unknown, left me a little dizzy. My first attempt at finding comfort, aka locating a delicious chicken parma, didn’t go well. (As you know.) I wondered what I could try next. I didn’t need a huge, woollen blanket of comfort after all, a small knitted beanie’s worth would do. Meanwhile, my first free weekday arrived in all its glory, grey clouds and all. To get myself back into ‘writer’ mode, I set off for the Barbican, just as I would have done pre-office job, with my laptop in my backpack, ideas trying to break the surface, and the heady whirl of freedom all around. I found a space among my fellow freelancers and tried to remember where I’d left my characters. However, after a few hours, my manuscript document remained unopened, my head distracted by tweets, Facebook posts and Guardian articles. Defeated, I decided to take myself for a late lunch. Before heading to Beigel Bake (a blog post in itself – delicious salt beef, mustard and pickle bagels from a Brick Lane institution), I decided to visit the Barbican’s library on the second floor. As I walked through the library’s entrance, as I’d done so many times, I saw the ‘membership’ sign before I saw anything else. I knew what would bring me comfort, would warm my head, my core and everything else. It was about bloody time I joined a library in London. I took myself over to the membership desk and proudly declared my interest in joining – the volume of my voice not strictly in keeping with my surrounds. I lowered my tone, filled out the requisit forms and waited for my library card. As I did so, my memory flashed to a time when I had stood at a similar desk, also waiting for a library card. That would be me, at the Carlton library, just after I’d purchased my new house in early 2014. Everyone should join a library! 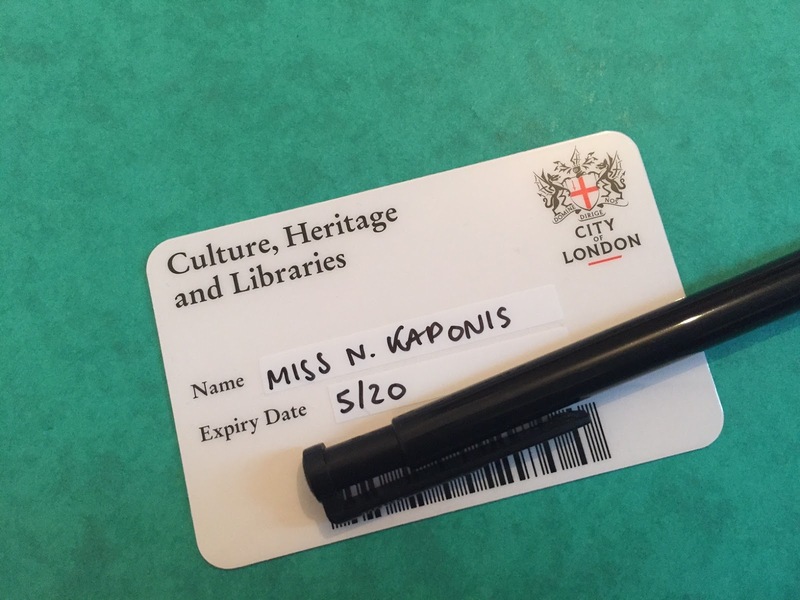 And as I fondly remembered my time in one of Melbourne’s best libraries, I was brought back to the present, a new library card pressed into my hand, its promise of new adventures making my fingers, my brain, tingle. As odd as it sounds, receiving that library card made me feel more settled than the job I’d just finished. I felt a little more whole, a little more confident, as I stepped back out into the giant, exhausting, grand, amazing city I’m trying to call home.